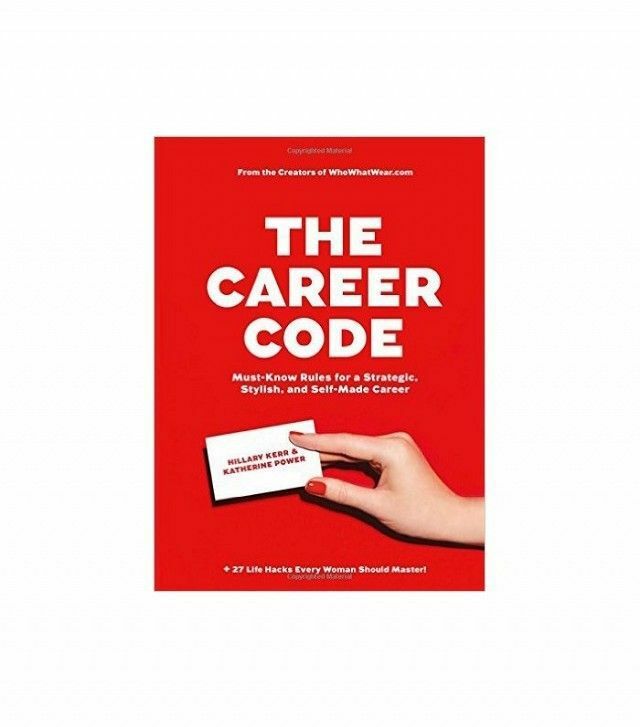 In honor of our co-founders Hillary Kerr and Katherine Power’s new book, The Career Code: Must-Know Rules for a Strategic, Stylish, and Self-Made Career ($12), we’re running an interview series featuring 17 questions (to parallel the book’s 17 chapters) about the work lives of inspirational female leaders who are at the top of their fields. We last spoke with inspiring entrepreneur Rian Buckley. This week, a creative co-founder is sharing how she turned a simple need into an empowering business—meet Ruth Zukerman, co-founder and creative director at Flywheel Sports. For most of us, just waking up every day and getting to work on time is a daily struggle, but we all know perfecting your morning routine is the secret to a happier, more productive day. Don't believe us? Just ask Ruth Zukerman. In just five years, the fearless co-founder and creative director of Flywheel Sports built an entire industry around it, empowering others to get up and ride to change their lives. The leading fitness instructor and indoor cycling pioneer has become an unstoppable force in the boutique fitness space. The secret to her success? Fun. Zukerman fused her background in dance and exercise physiology to make fitness so enjoyable, you don't even realize you're working out. Since the Manhattan flagship launched in February 2010, Flywheel has opened another 36 studios across the U.S.; more are planned for later in the year. It seems there really is no stopping this multitasking mompreneur who continues to teach several sold-out classes every week. Ready to tap into her driven psyche and inspire some of your own? Take note of Zukerman's inspiring routines for career success. "While I am co-founder and creative director, I remain an instructor at my core. My drive and passion for this business is born through teaching classes and empowering riders. There is no greater reward than witnessing lives change and celebrating achievements, no matter how big or small. Flywheel was built on these core values, and it's my duty to ensure they remain as such as the company continues to grow and expand." "If I'm not on the road or in a meeting, and if we have instructor training sessions going on, I like to pop into the stadium, introduce myself to the new group, and provide feedback, share anecdotes, or field questions." "Workout clothes! It was a fitness audition." "Danny Meyer. He has built a restaurant empire while always operating under the notion that the employees must be happy. This has always been my mantra as well, so I know I could learn so much from him." "Fast Company and Well+Good. Well+Good is my go-to source for all things wellness, including anything and everything boutique fitness–related. Founders Alexia Brue and Melisse Gelula launched the site at the same time that we opened Flywheel, and it's been fun to watch how far they've come." "When I look back at the beginning stages of companies I started, I regret not having the self-confidence to accurately value the contribution I would make as a founder. Our self-esteem is always evolving as we grow and experience life. It's easy to want to rewrite history, but who I am today is a very different person than who I was back then." 5. And most important, has a true passion for what they do." "I always go for both comfort and fashion. My style leans on the side of understated with clean lines and neutrals, leaving room to go a little crazy when it comes to my shoes. They definitely do not fall into the classic category, and I get numerous comments at work about my 'shoe game.' I love Robert Clergerie oxfords with a platform; the comfort and height make me feel powerful!" "Kind, sensitive, empathetic, and funny. After all, sharing a laugh with your colleagues is the key to enjoying the workplace." "I get on a Flywheel bike. Flywheel has experienced rapid growth, and so has our corporate team. This means more and more meetings. Since I'm so used to being physically active for a good part of the day, I can easily become both sedentary and antsy simultaneously. My productivity level subsequently decreases, and I am in desperate need of a reset. A Flywheel class, whether led by me or any of our amazing instructors, does the trick." "I love this question because I feel that a lot of people have not yet figured that out. The best way to quit a job is with honesty and integrity. I understand that sometimes complete honesty is not possible, but I live in hope that for the most part, it can be. It's really an opportunity for both the employee and the employer to possibly learn where improvement is needed, as well as where potential changes need to take place. "What is equally important is to not burn bridges. With the prevalence of people sharing their lives on social media, I've definitely seen numerous sentiments posted that should have remained private. You never know who you will be interviewing with at your next opportunity. The world can be very small." "For me, lunch is usually a meal consumed at my desk. The simplest and cleanest route for me is a good salad bar where I load up on greens, cucumber, tomatoes, grilled chicken, and avocado (always). Salt, pepper, fresh lemon juice, and a little olive oil, and I'm happy." "Colleagues who spend a lot of time together can easily fall into this trap when things might not be going so well. It breeds negativity in the culture, and this kind of communication becomes unproductive. It's a common business casualty when there is a lot of familiarity, and it sabotages any chance of problem solving and improvement." "I love following the @thefatjewish. His daily life observations are hilarious, and he always nails it. I also follow @robertclergerie because I always have to know what his latest shoe designs are and who is wearing them. The @humansofny shares real accounts of people living in the greatest city in the world; you get it all—the good, bad, and the ugly; it certainly helps put everything into perspective. My daughters, because their senses of humor truly shine through in their posts and they always keep me laughing." "I’m pretty compulsive and certainly need my rituals. I teach a Flywheel class six mornings a week. I have to eat before class to feel properly fueled but need a lot of time in between eating and teaching. I typically wake up at least two hours before class time. I make my bed (I need order! ), and then I make breakfast, which consists of a protein shake and a serving of oatmeal. I check emails, pay bills, glance at The New York Times headlines (hard copy), and get my apartment in order. I can never come home to too many things out of place. I also review my playlist from the night before and make edits dictated by my current mood. "Mornings are my most productive time, hopefully after eight hours of sleep. If I am home for the evening, the first thing I do is change into comfortable clothes. I'll throw something together for dinner, as I rarely order in; I haven't quite found the perfect food delivery option that is fresh and healthy. Searching for music and creating Flywheel playlists for class the next day are always a part of the evening ritual. I try to get in bed by 10 p.m. for optimum productivity the next day." "Lead from the heart with support, encouragement, and empathy. It's the most effective way to get the most out of your employees. Everybody wins." "My book! I'm excited to share my story with so many people who will be able to tap into and relate to my experiences, both professionally and personally. I've had so many moments where I've had to pinch myself as proof that if you follow your passion, you really can create a career that never feels like work."